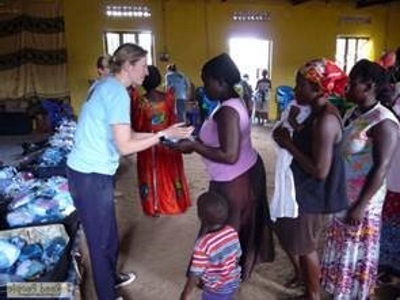 12-hour sewing marathon is to take place at a Sheringham church later this month to create dresses and other goods for women and girls in Lumpewe, Uganda. Tony Rothe reports. The Reed People charity, part of Lighthouse Community Church in Sheringham, is organising the event on February 24, and anyone is warmly invited to join the team for all or part of the time, whether or not you can sew! 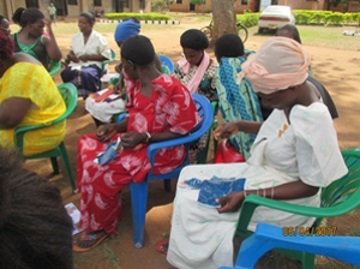 This follows the well-supported 24-hour sew-a-than last year when scrap materials were used to create a large amount of reusable sanitary wear for the ladies and young girls in Uganda. “We would love to welcome as many crafty sewers as possible! This time, as well as continuing with the sanitary pads, predominantly we would like to make simple dresses out of pillowcases for the girls. This gives scope for the more creative to flourish although it is possible to keep them very simple! “Even if you can’t sew but would like to help there is always cutting and pinning to be done, and we will be thrilled to see you. Any amount of time you can give will be much appreciated, it’s amazing what can be done in just half an hour! “In order to produce the dresses and pads, we are asking for donations of used cotton-mix pillowcases and duvet covers (patterned ones would be fab), wide elastic (up to one inch), any oddments of ribbon/lace/ for straps or decoration, and towels. The surplus material will be made into headbands to complement the dresses. Free refreshments will be served throughout the day, and activities will be available for any children that come with adults. The Sewathon will run from 8am to 8pm on Saturday February 24, at Lighthouse Community Church, 62 Cromer Road, Sheringham, NR26 8RT. or contact Jo Mutton about the event itself on 07876113035. The pictures show the goods and materials from last year’s Sewathon being distributed to the ladies and girls in Lumpewe.